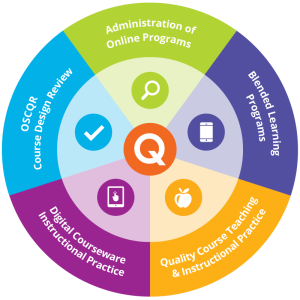 The Online Learning Consortium (OLC) yesterday released three additional scorecards to help faculty and administrators evaluate digital course offerings. More than 400 higher ed institutions use OLC’s Quality Scorecard Suite to assess their online and blended learning programs and initiate planning efforts, according to organization’s website. “Digital Courseware Instructional,” an ancillary scorecard focused on courseware attributes that positively impact student success, especially for underrepresented and disadvantaged backgrounds. All five scorecards are available in PDF format, with interactive formats available for Online Programs and Blended Learning Programs only. Further information is available on the OLC site.